Pedal misapplication and vehicle reversing accidents in parking spaces have been significantly reduced by Intelligent Clearance Sonar. 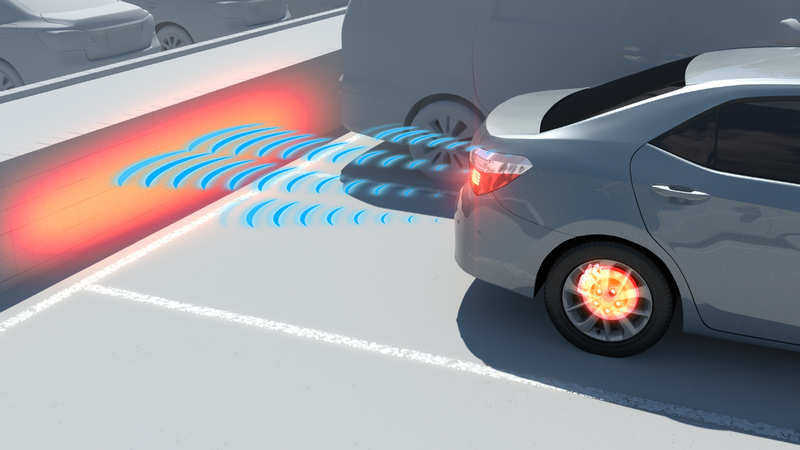 Toyota City, Japan, December 26, 2016 — Toyota Motor Corporation conducted a survey of accidents occurring in parking lots involving three models (the Alphard, the Vellfire, and the Prius) which have been equipped with the Intelligent Clearance Sonar (ICS) system. The survey was conducted during the 18-month period from January 2015 to June 2016 on the ICS?a system which helps to prevent or mitigate collision damage in parking spaces. According to the survey of data concerning approximately 2,500 accidents from insurance companies that cover the policies for about 60,000 of these above mentioned vehicles, pedal misapplication accidents fell by approximately 70%, and accidents related to reversing have been reduced by approximately 40%. ICS uses clearance sonar to detect obstacles during sudden start caused by pedal misapplication, which helps to mitigate damages caused by collision. The Alphard, Vellfire, and Prius which were launched in 2015 have been equipped with additional sensors and where the detection range has been increased. This expands the total detection range, and the software has also been improved2. This enables the ICS to help reduce collision damage caused by pedal misapplication, to support collision avoidance with adjacent vehicles and obstacles, as well as to mitigate damage when moving at low speed within a parking lot or pulling into a parking space even without pedal misapplication. To contribute to the elimination of traffic fatalities and injuries?which is the ultimate goal of a society that values mobility, Toyota is striving forward with the development of safer vehicles and technologies based on its Integrated Safety Management Concept3, and is continuously undertaking measures to integrate people, cars, and the traffic environment. 1. The differences between vehicles with and without ICS were investigated, and confirmation was made such that the difference is significant with more than 90% probability. THE Department of Finance (DoF) plans to revisit revenue performance evaluation measures of the country’s tax collection bureaus, before implementing the rewards and penalties law.